Our range of services include laser jali cutting work. 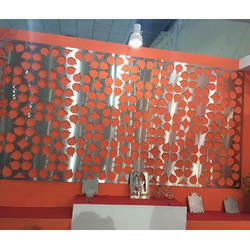 We have full devout in providing the best quality Laser Jali Cutting Work. We have a keen eye towards perfection and with help of advanced laser cutting techniques we are able to craft metal jali for decorative purpose. The offered jali is made from mild steel, aluminum and stainless steel material and carved in customized sizes and patterns as per the clients specifications.